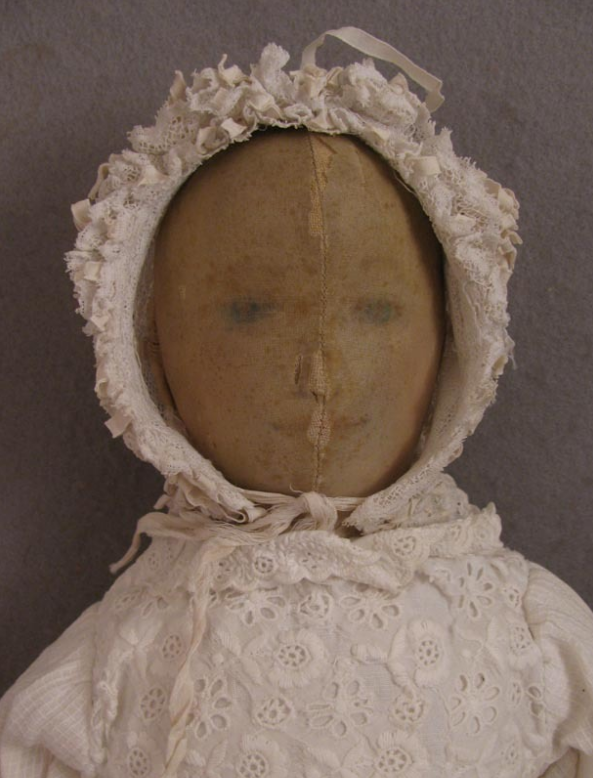 This sweet early antique silk over cotton cloth baby doll has delicately drawn facial features that have softly faded over time. 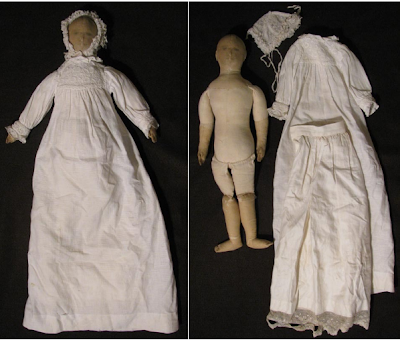 The doll is dressed in a long lace trimmed linen slip, window pane weave cotton baby dress, and beautiful lace baby bonnet. The dress and slip add about 8.5" in length. The doll is lovingly well constructed of soft stuffed cotton. 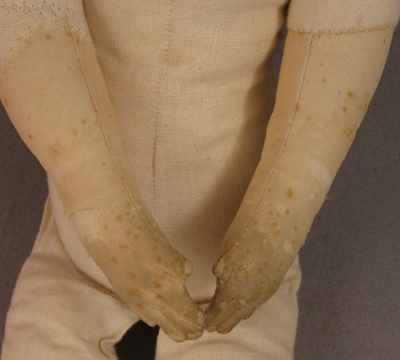 The lower arms, legs and the head were covered in a thin layer of silk, probably to give a more natural skin color. Fingers and toes are stitched. Eyes, eyebrows and lips were drawn on - though now faded. Ears are well formed. There doesn't appear to have ever been hair. 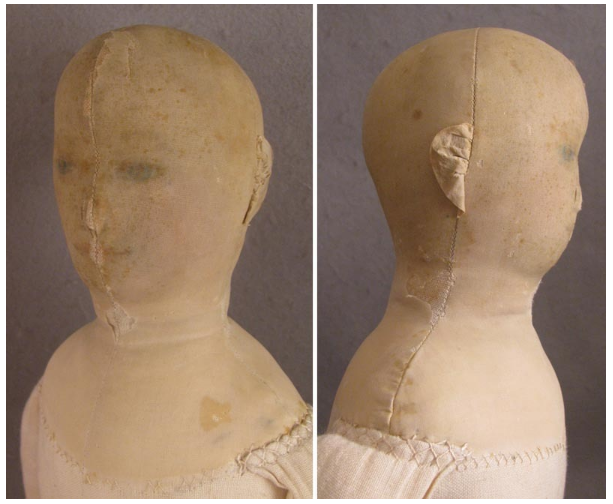 The shape of the head and the application of the 2nd skin over the head and shoulders makes this doll interesting. 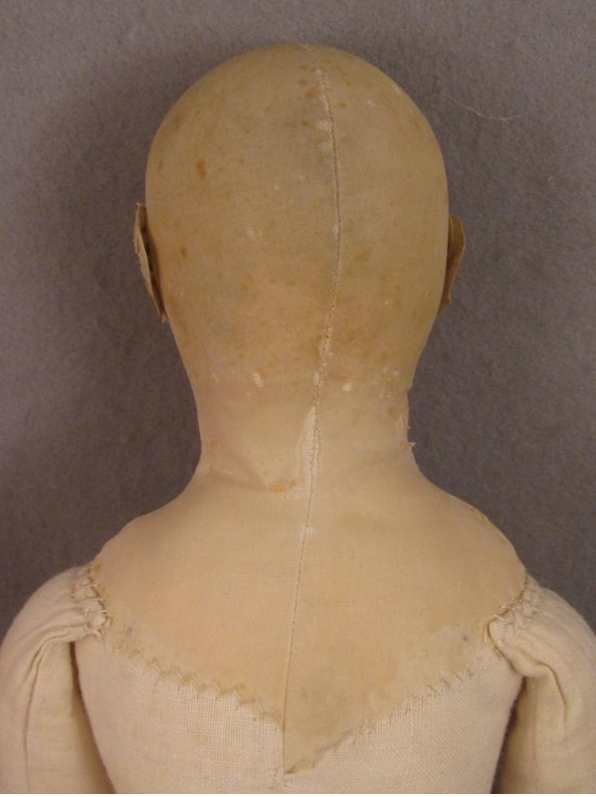 She comes from England and shares some similarities with other 19th century American cloth dolls. The shape of the head on the right melts my heart. at the time of making the doll. 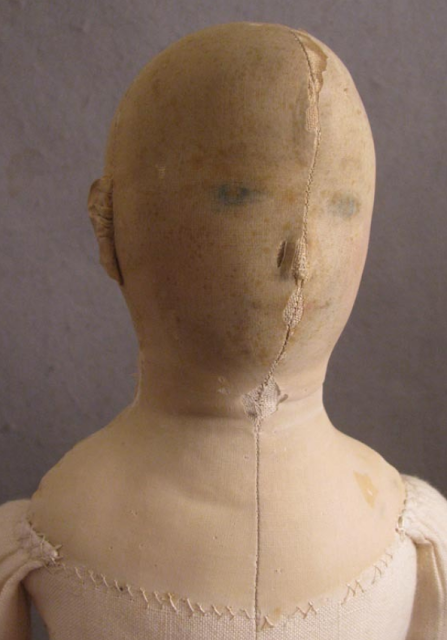 many papier mache dolls as well as Columbian dolls. Arms from the elbow down have a 2nd skin of silk. 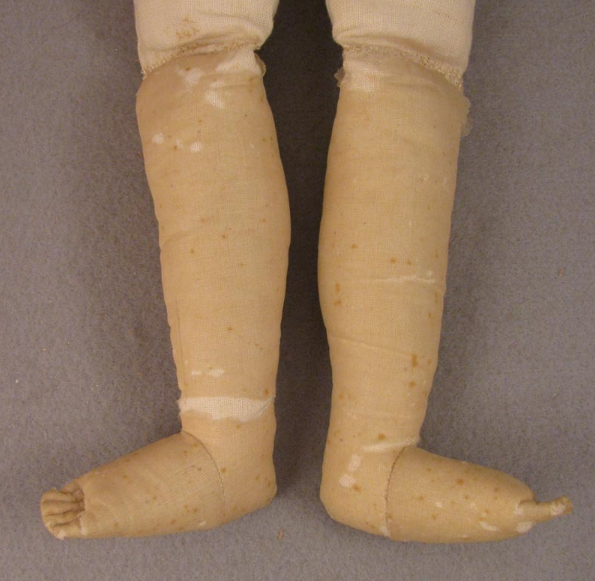 The legs and feet are not unlike this Izannah Walker doll. They appear to be silk covered like the head from the knees down. the joining of the two sides of the face front. She is quite an enigma, and a charming doll to study. To see the pictures in detail, visit Virtu Dolls listing here. She is enigmatic. Thank you for sharing her with us.